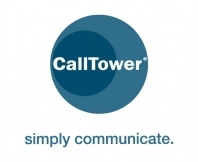 CallTower is a Software as a Service (SaaS) provider that offers businesses an enterprise class, feature-rich, comprehensive communications solution based on an end-to-end Cisco® (software and hardware) and Microsoft Unified Communications platform. CallTower bridges the divide between your company’s voice and data infrastructure and converts them into a unified platform that powers communication for your business. With CallTower’s unified communications service, your organization gains the functionality of all available advanced Unified Communications features in a reliable, stable and scalable environment, without the complexity and costs of buying and implementing on it your own. The CallTower solution integrates your telephone, Outlook, voicemail, internet, handheld devices, faxing as well as all of the industry’s best available services into a no capital requirement, monthly, comprehensive service relationship. CallTower’s Communications Service also includes all upgrades, patches, maintenance, secure back up and 24/7/365 monitoring of all hardware and software. Carrier and network management is also monitored and managed. CallTower maintains 24/7/365 US based customer service to respond to any of our client’s needs. CallTower service can be initiated in 45 days of order, and can be scaled up or down per a clients needs. Price on a per user basis, the service is both predictable and scalable.